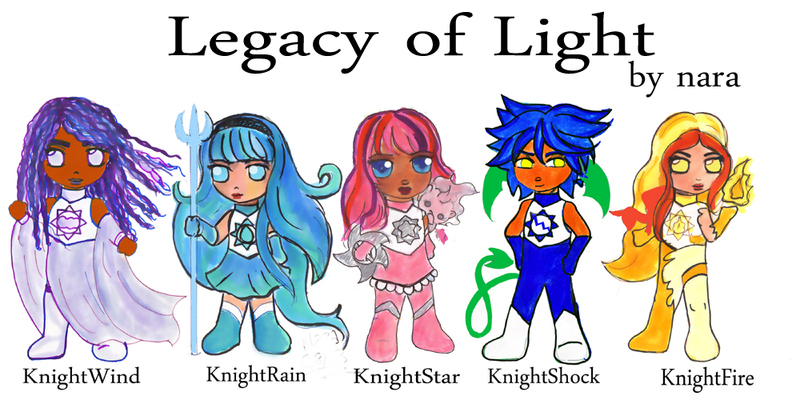 For some reason I like really long names, so we have Celestial Soldier KnightWind, Celestial Soldier KnightRain, etc. The knights were originally created to be defenders of light, but the angels think that job belongs to them, so that led to much drama. And demons (as the defenders of darkness) don’t like them either. We’ll see more of their origins and whole lot of Solar in this volume. He basically stole most of the storyline, when I wasn’t looking.